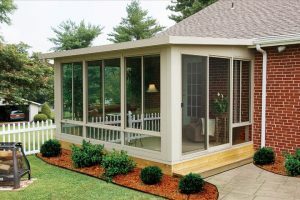 A new sunroom can add an abundance of functional living space to your home while allowing you to enjoy the beauty of the outdoors in comfort. It is important, however, to find a sunroom contractor you can trust to expertly and professionally install a product that you can be proud of for years to come. For residents of Indianapolis, Muncie, Kokomo, and surrounding areas, L.J. 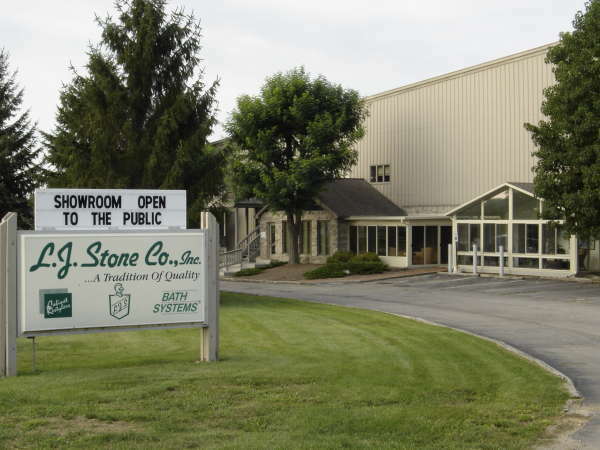 Stone Company is the obvious choice. Ranked as one of the Top 200 Exterior Remodelers by Qualified Remodeler in 2008, L.J. Stone has provided homeowners throughout central Indiana with breathtaking sunroom products and installation for more than 40 years. Our skilled designers can help you custom-design the perfect sunroom for your home – whether you prefer a simple plan or a more elaborate layout – so you can create a calm, relaxing living space that fits your style and budget. Homeowners in central Indiana have depended on us since 1967 for our superior sunrooms and other home improvement products, as well as excellent customer service. We are a stable, family-owned and operated company committed to helping our customers achieve their home remodeling dreams, regardless of budget. In addition to sunroom installation, our highly trained installers and carpenters can quickly and efficiently complete bathroom remodel projects, install replacement windows, and perform cabinet refinishing, among other home improvement jobs. If you’re looking to add a sunroom, pergola, or another type of patio cover to your home in Noblesville, Anderson, Marion, or elsewhere in the greater central Indiana area, contact L.J. Stone Company. We offer flexible financing options, carry an A-plus rating with the Better Business Bureau, and we proudly serve homeowners in communities throughout the greater Indianapolis area including Richmond, Greenfield, Greenwood, New Castle, Hartford City, Portland, and Winchester.